​YOUR LAND, YOUR WATER, YOUR MICHIGAN! Have you noticed our new logo? 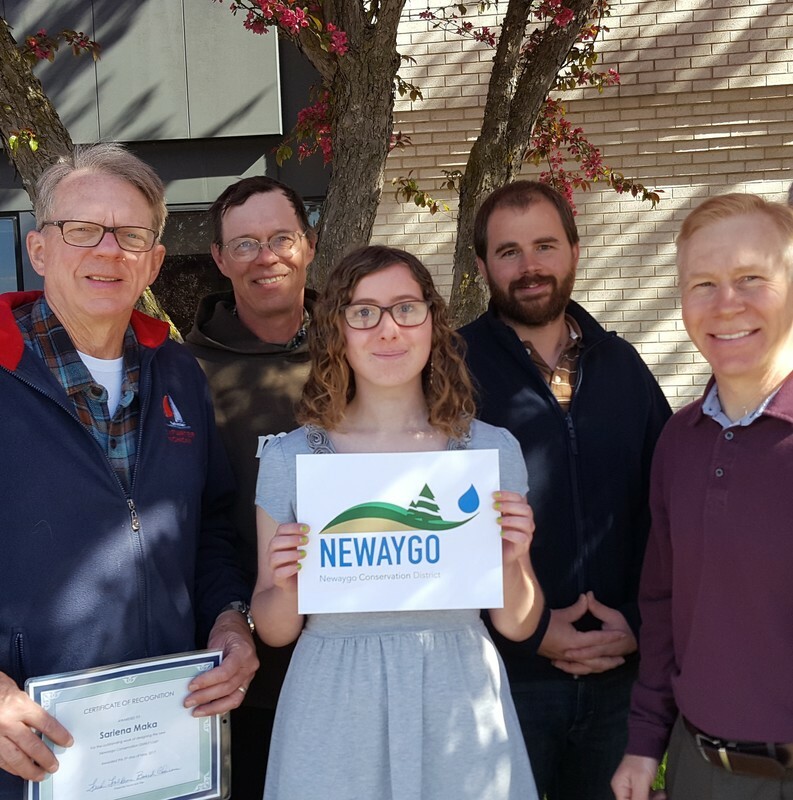 ​Early in 2017 the Newaygo Conservation District Board decided the organization needed a new logo. To involve the community District staff reached out to the NCRESA Career-Tech Center Graphics department instructor, Doug Clink. A contest was held amongst his students to come up with an improved logo. After narrowing it down to two students, the District Board chose Sariena Maka’s design as the winner. Maka is a senior from White Cloud High School. On Friday, May 5th she was presented with an award of recognition and gift certificate by District staff and board members to thank her for her time and talents. Due to the nature of our work, the office may be closed during regular office hours as our staff are working in the field or attending appointments with landowners.